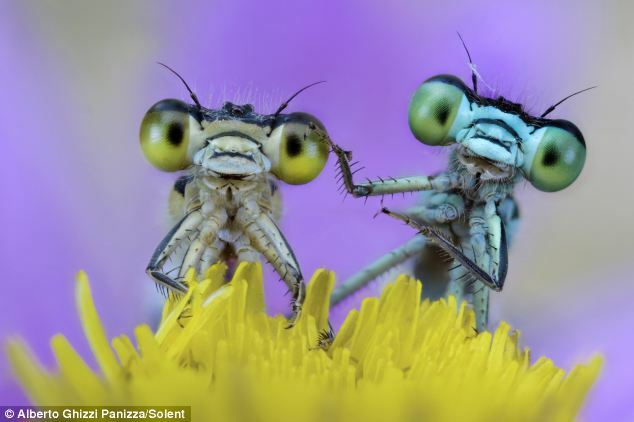 It is easy to imagine that these vividly-coloured damselflies are on a romantic insect date as they look as if they are holding hands. 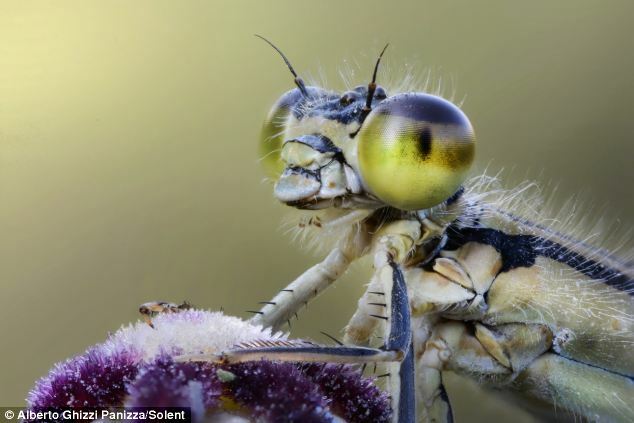 The adorable images were taken by a photographer as he walked across a flood plain early one morning. 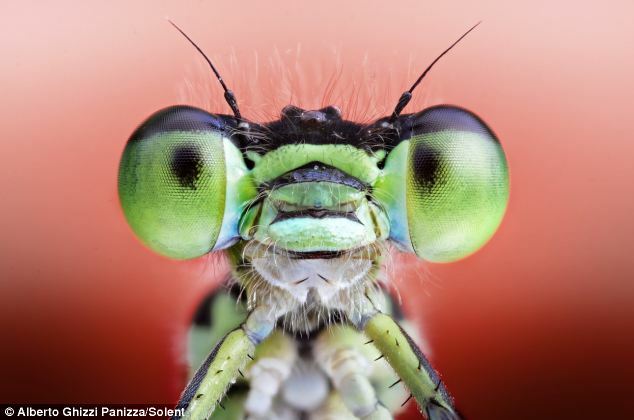 Photographer Alberto Ghizzi Panizza, 38 from Palma, Italy, took the photos of the big-eyed insects near the River Po in the Po Valley. 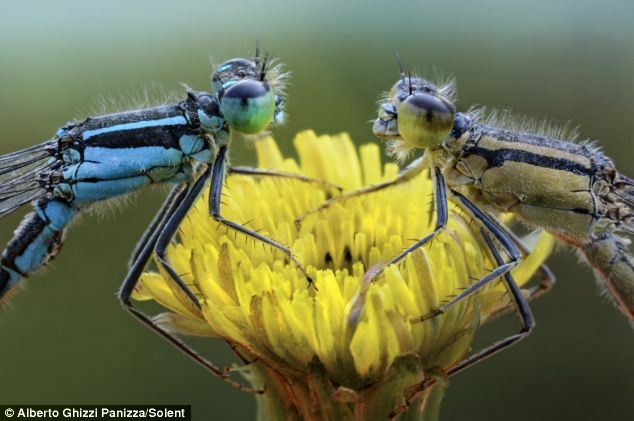 Struck by their cute poses, he took shots of the damselflies shortly after dawn as they rested on wild flowers. 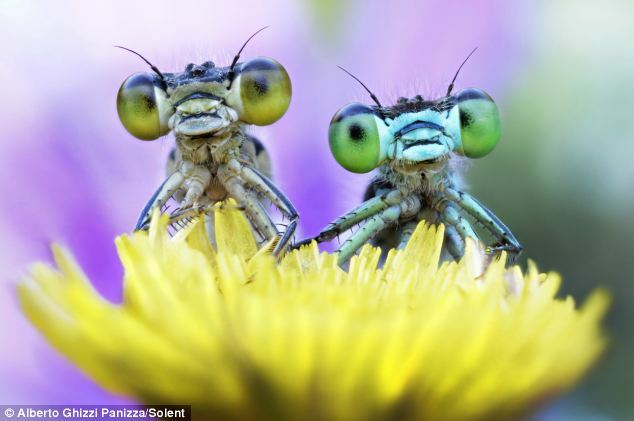 Mr Panizza said: 'I found these cute insects' expressions very funny. 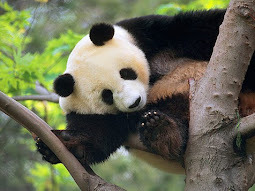 'The morning was cold and wet but they seemed to like being perched on the branches and flowers. 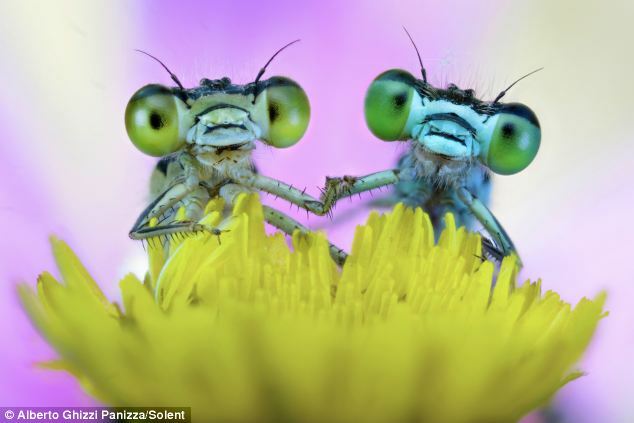 'The funniest photo is where they seem to hold hands and says to the observer: 'This is my partner'. 'I like to call this shot 'Meet Sally', inspired by the famous film When Harry Met Sally.